Waiting on Wednesday was created by Jill at Breaking the Spine, and it's a weekly meme mentioning an anticipated upcoming release! In a world ravaged by mutation, a teenage girl must travel into the forbidden Savage Zone to recover lost artifacts or her father's life is forfeit. America has been ravaged by a war that has left the eastern half of the country riddled with mutation. Many of the people there exhibit varying degrees of animal traits. Even the plantlife has gone feral. Crossing from west to east is supposed to be forbidden, but sometimes it's necessary. Some enter the Savage Zone to provide humanitarian relief. Sixteen-year-old Lane's father goes there to retrieve lost artifacts--he is a Fetch. It's a dangerous life, but rewarding--until he's caught. Desperate to save her father, Lane agrees to complete his latest job. That means leaving behind her life of comfort and risking life and limb--and her very DNA--in the Savage Zone. But she's not alone. In order to complete her objective, Lane strikes a deal with handsome, roguish Rafe. In exchange for his help as a guide, Lane is supposed to sneak him back west. But though Rafe doesn't exhibit any signs of "manimal" mutation, he's hardly civilized . . . and he may not be trustworthy. Whoa! There are so many things that make me excited about this book! 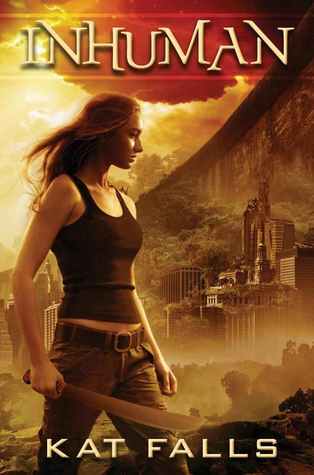 The cover seems very dystopian/urban fantasy-like, and I there are not nearly enough YA UF reads, in my opinion. Also, the synopsis has me thinking that this is going to be Tomb Raider meets Feral/Ravaged World, and who would not be interested in reading something like that?? What is your pick for this week? Interview & Giveaway with Karen Amanda Hooper! New Releases for July are Up! !